A black and white negative of a chicken standing on a box draped in fabric. In the background is a building. John Thomas is visible on the left side of the photograph. 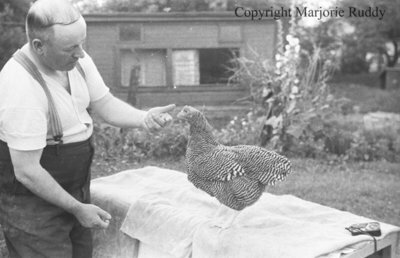 John Thomas's Chicken, July 21, 1939, Marjorie Ruddy. Whitby Archives A2013_040_1006D.